The importance of the NSX cannot be overstated. Created to do battle with Europe's best exotics while maintaining Japanese reliability. Tested by Formula One legend Ayrton Senna. The "muse" that inspired the invincible McLaren F1. The first car with an all-aluminum monocoque body. The NSX is all of these things and much more. The Nissan GT-R is fantastic, but if you ask me, the NSX is still the greatest Japanese car of all time. Furthermore, its design remains striking and eye catching even today. When an NSX drives down the street, all heads turn to see it. It's a luminary car, so it deserves a luminous wallpaper. Our wallpaper this weekend comes to us from friend of the site Patrick Ernzen over at Desert Motors. 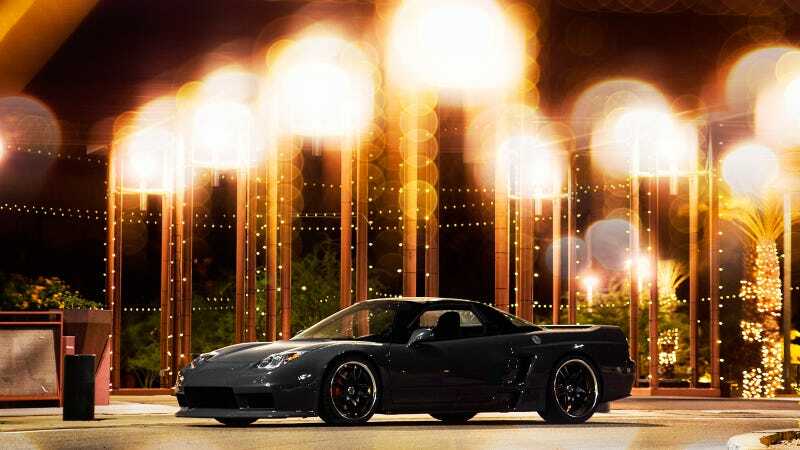 Patrick shot this fantastically lit photo of the NSX that I had to share with you guys. Check out the other galleries on his site; he's immensely talented. What do you guys think of the NSX? Does it hold up today? Calling all photogs: New wallpapers typically are featured on Saturdays. Do you have a photo you'd like to see posted here? Then send it to tips at jalopnik dot com with the subject line "Weekend Wallpaper." Just make sure you have the proper rights to the photo and can tell us how to credit it. Photo credit Desert Motors. Used with permission. Click here for a giganto-desktop version.